We're not sure why blue has always been the color associated with being sad. There are plenty of things out there that make us happy! Just look at the sky, the ocean, or sparkling sapphires! It's a wonderful part of the rainbow that has left us wishing numerous times, "man, we wish our faces were blue," but alas we've only been able to achieve that for brief periods of time by holding our breath for a while, and we think that's beginning to wear on our bodies. Maybe it's time we found a better a solution. And find a wondrous solution to our problem we did! We present to all you great fellow dreamers of joining the ranks of blue people (there are dozens of us!) 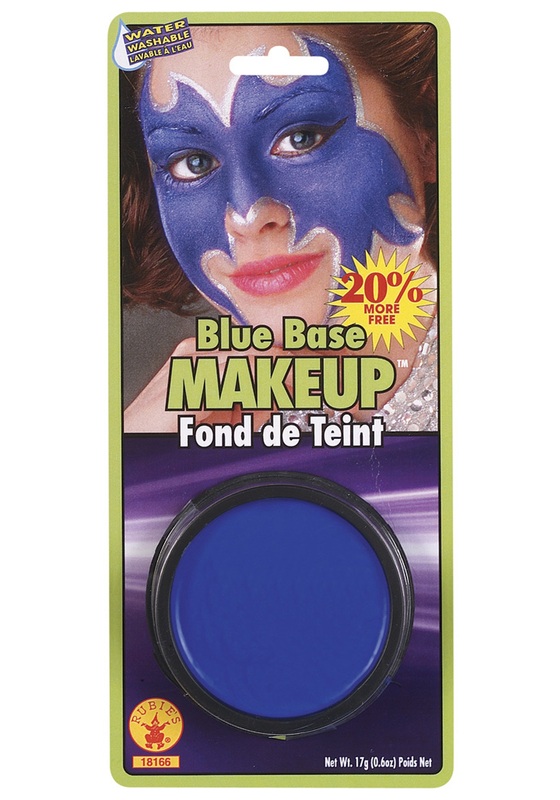 This easy to apply makeup can turn you into a smurph, help you with your clown outfit, or even join a strange percussion band! It's super easy to apply and with a good wash with soap and warm water, easy to remove as well!